Welcome to Ross Road Secret Gardens! We look forward to hosting you and yours for your Special Event! This property is rented as a whole house which may or may not be including apartment or the entire property for additional fees depedning on your deisre for privacy or for total accomodations. The house is a bit sprawly, so there is lots of room to spread out. If total privacy is desired, be sure to book the whole property. 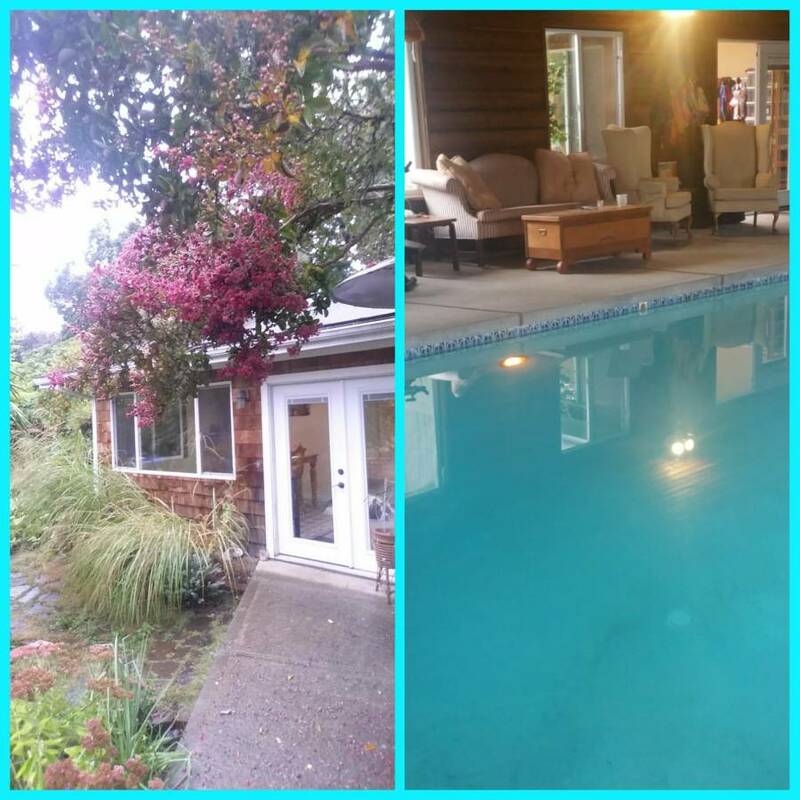 1/2 acre includes 2 driveways, one of which have good privacy for motor homeIndoor pool and hot tub amenities, large private back facing garden opens onto Wetlands with native plants and birds. Rentail details are to include a finalized, date-specific, signed contract (available for viewing on vrbo with formal inquiries) Payments will be made via Paypal upon rental agreement, contract will be returned signed by the Renter immediately upon completion of payment. Upon confirmation of payment, dates will be blocked on calendar. We look forward to hosting you and helping create and easy, fun, relaxing event. Room rentals during available dates.